In our August edition of our Preemie Family newsletter we learned about Micah and Zachary Canvasser, who were born at 27 weeks and 5 days, weighed in at 2 lbs. 7 oz. and 2 lbs. 12 oz. respectively. 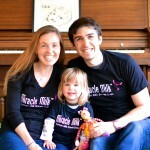 Micah spent 299 days in the NICU and Zachary was there for 91 days. Read more in an update by their mother, Jennifer (who is also heads up The NEC Society). 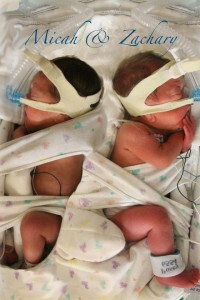 Neither of my twins could nurse at birth because they were born incredibly fragile at 27 weeks gestation. I managed to establish a milk supply for twins by relying solely on a breast pump. 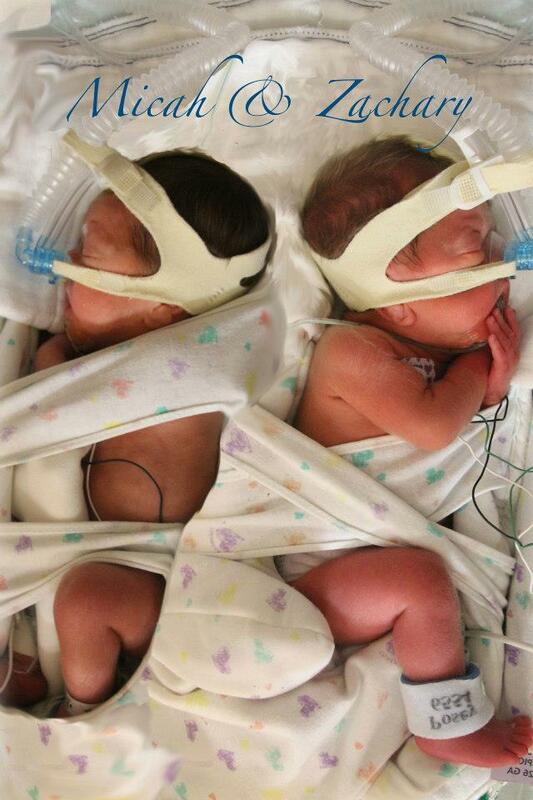 Micah and Zachary were born via emergency c-section, each weighing just over two pounds. I did not see my babies when they were born. They were taken out of my body and whisked away to the NICU to fight for their lives. Intense fear and guilt clouded feelings of happiness. In the OR recovery area, I begged my nurse to bring me a breast pump. I had never even seen a breast pump. I just knew I needed to start making milk for my very premature twins. My nurse refused to bring me a breast pump. She said I’d need to wait until I got to my private room. I begged, explaining how important it was for me to establish my milk supply for my tiny babies. Hours later, when my breast pump finally arrived, I began the routine of pumping for 20 minutes every two hours around the clock. I didn’t make a single drop of milk in over 24 hours. My twins’ care team explained that if my milk didn’t come in soon, my premature babies would be fed formula. More than 48 hours after giving birth, I was so relieved when the smallest drops of colostrum dribbled down into the plastic pumping bottles. My family supported my determination to provide breastmilk for Micah and Zachary. My husband made sure I was well-nourished and had everything I could possibly need to optimize my milk supply for our twins. My mom and closest family members took care of everything else so I could take care of my fragile twins. Support was critical to my success. Not once did my inner-circle utter a discouraging comment about my pumping schedule. As I pumped, I read up on the lifesaving power of mother’s milk for fragile infants. The more I learned about mother’s milk for fragile infants, the more determined I became to provide my twins with breast milk for as long as possible. I continued my round-the-clock pumping schedule, through intense uncertainty. The one way I could nurture my fragile babies was by giving them my milk. Making milk was my one source of empowerment, when all of my motherly duties and responsibilities were taken away and given to clinicians. 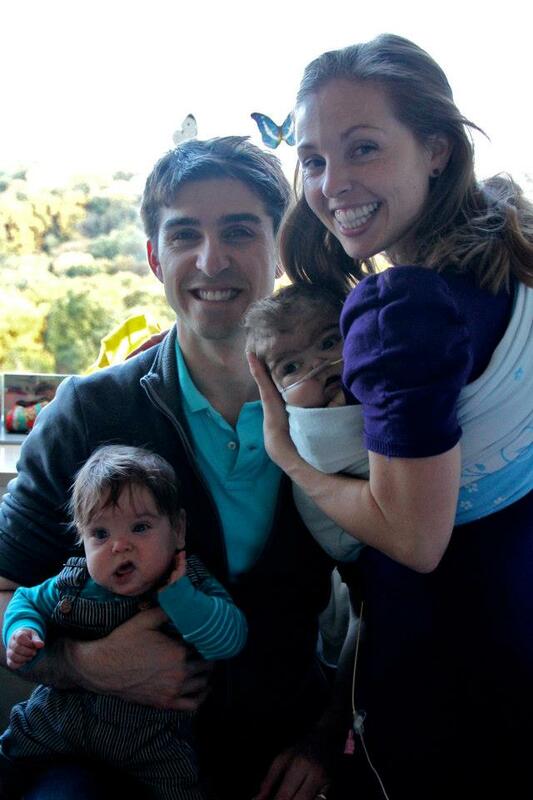 Micah and Zachary’s NICU stay was the most overwhelming, terrifying and exhausting time of my life. We came so close to losing our sons so many times throughout their NICU hospitalization. Zachary struggled with severe apnea. I cannot count how many times I watched Zachary turned blue and then gray, as his care team fought to save his life. By the time Micah and Zachary were six weeks old, my milk supply was well-established and I had plenty of milk for both of them. But, our NICU insisted on adding a bovine-based formula-fortifier to my breast milk to boost the caloric and nutritional content. Neither of my twins responded well to the formula-fortifier, which caused them severe constipation, frequent bouts of emesis and life-threatening breathing episodes. Then Micah developed necrotizing enterocolitis (NEC). His NEC was so severe that it resulted in end stage renal disease and a host of other life-threatening complications. From that point on, Micah was dependent upon continuous or intermittent hemodialysis. We finally brought Micah home for the first time when the boys were 9 months old, a dream come true. Tragically, Micah’s time at home was heartbreakingly short. Micah lost his battle when the boys were 11 months old. Micah and Zachary have changed my life forever. Everything I do is in honor of them. I keep Micah integrated in our family by talking about him daily with Zachary, surrounding our home with Micah’s photos, and helping other NICU families in Micah’s honor. Despite our tragic loss, and the hell that I watched Micah endure, my body somehow managed to continue to make milk. We just celebrated Micah and Zachary’s second birthday, and I am still exclusively pumping. When Micah was critically ill, I couldn’t hold him for four months straight. But, I could nourish him with my milk, and that was an amazing gift. Micah is gone, but my milk supply that I built for twins is not. I have donated breast milk to families who have adopted children and to milk banks who pasteurize the milk for fragile hospitalized babies. Providing breast milk for my babies and other babies in need, brings me great peace. Losing a child is one of the most tragic losses anyone can experience. My heart will forever ache to have Micah back in my arms. Yet, I am blessed. In my lowest of lows, when I felt like I had nothing to give, I could still give my milk. My milk gave my babies life, other babies love, and my devastated soul, peace. Jennifer seems like an amazing woman! I am so sorry for her loss and I cannot imagine the strength she has to continue on. Jennifer you gave the purest form of nourishment to the most vulnerable of babies. Your breast milk donations have made a world of difference to each little one that received them. Thank you for doing this.